Tibetan minister Kalon Dicki Chhoyang met with members of the Taiwanese Parliament to discuss the deteriorating human rights situation in China. Kalon Dicki Chhoyang told members of the Taiwanese parliament and local NGO's concerned with human rights inside Tibet that the current situation within Tibet is critical hence the self- immolations currently happening. Chinese repression is at the moment extremely harsh she told her audience and freedom of free speech and religion are more restricted than ever. People in Tibet are dying for what are, in essence, basic human rights. Human rights that are the norm in other countries, yet are still to be realized in Tibet, she said. These events are unprecedented and are a signal to the world of Tibet's struggle for freedom she told her audience of parliamentarians, students and Human rights NGO's. In answer to a question Kalon Dicki Chhoyang said that the ‘'patriotic re-education'' regime, the resettlement of Nomads and the teaching of Chinese in Tibetan schools was having a seriously detrimental effect on Tibetan society and culture and a real threat to its heritage. In addition, she said China's policies are fundamentally wrong and that the government there should now resume talks with the Tibetan administration in exile in an honest and fruitful dialogue. His Holiness the Dalai Lama had the foresight many years ago to initiate the Middle Way, she said, a peaceful non-violent approach to achieving autonomy for Tibet within the framework of China's constitution. Tibetan minister also met with the former Taiwan --Democratic Progressive Party (DPP) Chairwoman Tsai Ing-wen. During the meeting, the former DPP leader also strongly expressed concerns over the current situation in Tibet. "Today I met with the minister of the Tibetan foreign affairs and information department, Ms. Dickyi Chhoying. She needs to connect with as well as many foreign supporters as possible to create a untited, powerful international voice for Tibet, Tsai Ing-wen stated. "To do this, she and I share our current responsiblities and have tried to figure out a way to create a relationship and business relationship with China and the WTO." "Ms. Dickyi Cheoyang explained us that the self-immolations are a result of dissatisfaction among the Tibetans with regards to China’s policies on religion, language and the resettlements of Tibetan herdsmen." 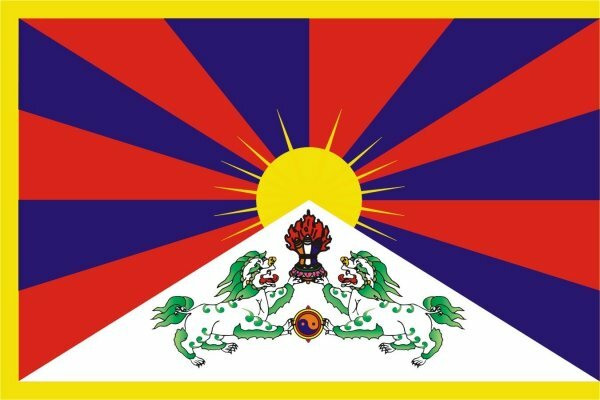 "She urges the government to implement genuine autonomy for Tibet within the framework of the Chinese Constitution. Finally, I pray for the government-in-exile and its Tibetan compatriots," she said. Last month, when she was DPP leader, she has reiterated the DPP’s strong support for the Tibetan democratic movement and the well-being of Tibetans in Taiwan. Kalon Dicki Chhoyang also urged Taiwan and the international community to push China in addressing the grave problem within contemporary Tibet. Kalon Dicki Chhoyang is on a three country visit of countries in the East Asia region and Taiwan is her first port of call.